2001 – Two weeks ago, in What’s Wrong with PowerBooks, I wrote about some negatives of PowerBooks, and last week I looked at the other side in What’s Right with PowerBooks. So what does it all mean? Maybe I’ll pulling a Charles Dickens: PowerBooks are the best of Macs and the worst of Macs. 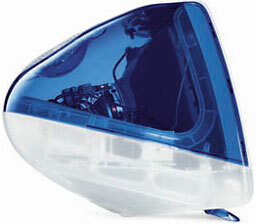 Low End Mac as a site has a focus on getting the most value in your computing experience. For many of its writers, value involves quality – that’s why it’s Low End Mac instead of Low End Computers. Value also involves price. It’s amazing how much Mac value you can get with an older Mac. Apple is in the difficult position of trying to create cool new hardware that will convince us to upgrade from our older cool hardware. Are new TiBooks or iBooks a good value? Undoubtedly they are for some people. If you read what Dan Knight has written about his TiBook, you can see that he loves the wide screen and the small package. I suspect that many of us who read this website could really push a laptop to it’s limits and get our money’s worth out of it. But that doesn’t mean that they are the best choice for every user. When considering the value of, say, a new TiBook, it doesn’t do much to consider it all by itself. In economics, one aspect of cost that is overlooked is opportunity cost. If you spend $2,600 on a TiBook, you don’t have $2,600 to spend elsewhere. I want to describe some alternative ways of spending money that might make more sense for some users. For a person who wants the slickness of a PowerBook but doesn’t travel, an alternative could be buying a G4 Cube with an Apple monitor. That could add up to several hundred dollars less than a PowerBook, which could be used to buy something fun like a digital camera, a TiVo personal recorder, or an MP3 player. While a Cube would be luggable, it surely wouldn’t be portable like a PowerBook. On the other hand, an MP3 player or a digital camera could be more fun for you than having a PowerBook. Someone who needs the portability of a iBook for infrequent travel might be better suited with an iMac and a used PowerBook 3400. Buying an iMac would give you a faster system at a low cost. An iMac would also provide you with better ergonomics, including a bigger screen. And the iMac makes a decent stereo if you use iTunes. With an iBook, you’d be limited to buying external speakers or using headphones. If you play games, the extra horsepower of the iMac’s graphics chip might come in handy. A PowerBook 3400 for $400 makes a nice complement to an iMac, and it can do nearly all the things an iBook can do. The 3400 has a similar 800 x 600 active matrix screen and can run Mac OS 9 with ease. If you really want portability, picking a Palm might be better than any Mac. You can buy a Palm for less than the difference in price between an iMac and iBook. The Palm OS was designed on the Mac and shares the same philosophy about ease of use. I have a TRGpro (Palm compatible) with 104 MB and a keyboard. I can carry both in my lab coat pockets while making rounds at the hospital. Because it weighs 6 ounces instead of 6 pounds, I can carry it everywhere, every day. No PowerBook ever made even comes close in terms of portability. And my rechargeable AAA batteries last for weeks instead of hours. Palms are not as powerful as a new Mac, and the screen is much smaller. I think of it as approximately a Macintosh SE in my pocket, because it runs that magnitude of software. Palms are surprisingly useful given their size and speed. With AvantGo, I can get selected Low End Mac articles and other websites to read when I have a few minutes. Browsing in AvantGo is faster than on my PowerBook, because it strips out most of the graphics and formatting. Besides the organizer functions, I have a relational database, an outliner, a drawing/painting program, a text editor, and about a dozen medical references. Combined with a mobile phone, I could have wireless Internet that has a much larger range than AirPort has. No wonder Palms have taken the market by storm. 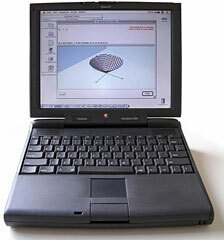 If you are considering buying a PowerBook, you might think about these other options like a Palm, digital camera, or older PowerBook combined with a desktop computer. Buying a new ‘Book is a good option, too. The way AirPort is growing, in a few years, I suspect that AirPort-enabled PowerBooks will be much more useful than classic PowerBooks. Lucent has simplified the AirPort chips, and it won’t be too long before prices drop and the range extends. I’m not holding my breath, but I’d bet that Apple will have an AirPort Base Station II during the lifetime of a new TiBook. Likewise, Mac OS X will have finished its growing pains during the life of any new ‘Book. Within a year or two, people on classic PowerBooks will start missing cool things that are only available on Mac OS X. I’m not sure if software will ever really take advantage of the G4’s capabilities, because G4s have been out for a long time and we have yet to see a bunch of G4 software. If we compare that to the first PowerPC chip, there was quite of bit of PPC-only or PPC-accelerated software by this time. Perhaps a year or two after all Macs have a G4, software will start taking advantage of it. But today there are so many G3 Macs being sold that getting an iBook with a G3 is still a good choice. Editor’s note: While the Classic Mac OS and its software rarely took advantage of the AltiVec velocity engine in the G4 CPU, Mac OS X has always benefited from it due to its richer user interface. 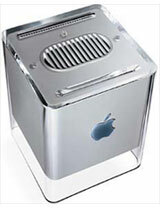 Further, the G4 is designed for multiprocessing, while there has never been a dual-processor G3 Mac. If you are thinking about buying a PowerBook, I hope you will truly consider if the extra cost of a PowerBook is worth it. I know several people who’ve spent hundreds of dollars more on their computer than they needed to. PowerBooks can be sweet machines, but only if they match well with how you are actually going to use your Mac.